Do you love Europe? Are you excited at the idea of exploring new countries? If so, you will be interested to hear that Nashville Luxury Travel is hosting an Adriatic Adventure Luxury Cruise through Europe! NLT owners, Jennifer Martin and Leslie Horn, are thrilled to take travelers to experience this Crystal Cruise – and you could join them! The group sets sail on September 14th from Venice, Italy. 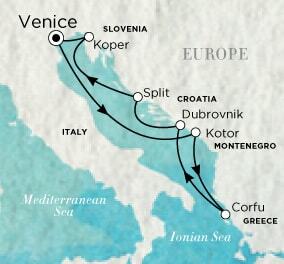 The 7-day adventure will take you to Montenegro, Greece, Croatia, and Slovenia, before returning back to Italy! Those sailing with NLT in September 2019 will love lodging on the Crystal Serenity; Sailing Crystal Cruise line is an experience in and of itself! With a formula for success, Crystal consistently ranks amount the world’s very best in luxury travel. For more than two decades, Crystal Cruises and its elegant ocean ships, like Serenity, have won an unprecedented number of top awards across multiple categories, including being voted “A World’s Best” by the readers of Travel + Leisure more than any other cruise line in history! Each port of call boasts a city that appears to be straight out of a fairytale, and one could delight in wandering the day away. But, if you want a little more adventure, consider this! Venice rests three miles off the coast of mainland Italy and is considered one of the world's most enchanting cities. Laced together by a string of 400 intricate bridges, Venice is legendary for its labyrinthine network of canals. A whimsical stroll through the city can lead one to a hidden world of ornately decorated piazzas and shops. 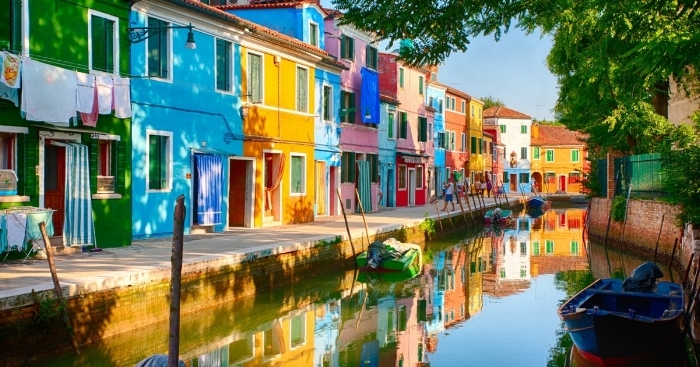 WHAT TO DO: Enjoy the city or, consider a boat ride to the colorful towns of Murano and Burano, or a food and wine tour, experiencing the best local eats and the finest wine bars in Venice. Rising above the Adriatic Sea, the town of Kotor is splendid for both its ocean views and medieval Old Town. To walk through its streets is to take a stroll through history. You'll see fortifications dating from the 9th century; the Church of Saint Ana dating from the 12th century; the Church of Saint Luke from the 13th century; the Church of the Healing Mother of God from the 15th century; the Prince's Palace from the 17th century; and Napoleon's Theatre from the 19th century. WHAT TO DO: Relax by the Mediterranean sea in Montenegro. Beautiful Jaz Beach is equipped with sun beds, umbrellas and a beach bar. Shaped like a scythe, the island of Corfu is considered one of the Mediterranean's best-kept secrets. Its lush interior is covered in cypress and olive trees while the main downtown area has elegant Venetian architecture and a serene atmosphere. WHAT TO DO: A jeep ride exploring the island of Corfu – Panoramic views, a stop in a lovely beach town, and a little off-roading! Medieval Dubrovnik, formerly the Republic of Ragusa, was one of several walled cities established in the 7th century to guard the coastal approaches. Its fortification was completed in the 13th century and has remained relatively unchanged. The city walls are in excellent condition and today prevent invasion by automobiles. Within the walls, the lovely sleek lines of Venetian-style buildings complement a wealth of ancient stone architecture. Nearby islands feature beautiful beaches as well as intriguing ancient ruins. 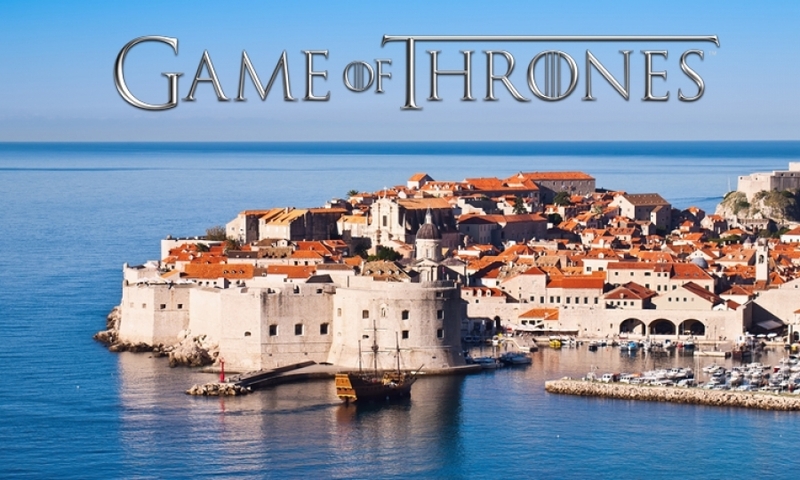 WHAT DO DO: If you are a Game of Thrones fan, you don’t want to miss the cities of Dubrovnik & Split! Enjoy seeing Lovrijenac Fort where the Battle of Blackwater occurred, the Pile Gate, where Daenarys kept her dragons, and take the same path as Cersei in her walk of shame, just to name a few! If you don’t know what Game of Thrones is, don’t worry. The real history behind these places is just as fascinating! Split was first settled when, at the end of the third century AD, the Roman Emperor Diocletian built his palace in the charming city. The importance of Diocletian's Palace far transcends local significance because of its level of preservation and the buildings of succeeding historical periods found within its walls, which today form the very heart of old Split. The palace is one of the most famous and integral architectural and cultural constructs on the Croatian Adriatic coast. The seaport of Split lies on the Dalmation coast. It is the economic and administrative center of Middle Dalmatia, with about 200,000 inhabitants. The city reveals its unique story in its architecture, highlights of which are the remains of the main door from the once-grand fortified walls and the many preserved buildings dating from the 15th to the 18th centuries. A walk in the old Venetian quarter can truly begin to give a visitor a sense of both the city's history and future, as restorations of the elegant buildings are underway. WHAT TO DO: Biking in Koper – The Slovenia Railbed Ride is a superb way to see the sights. And, don’t worry, it’s not too strenuous, there is a stop for wine and olive tasting! Verandah staterooms start at $3,695 and include a shipboard credit of $400. Your Crystal Cruises® Exclusive Fare includes: all beverages including fine wines, champagne, premium spirits and all non-alcoholic beverages, gratuities for staff, complimentary evening of specialty restaurant dining in Prego and at least once in Silk Road or The Sushi Bar. 24-hour room service; complimentary Wi-Fi, attentive Butler service in all Penthouse categories; enrichment workshop series featuring destination experts; fitness programs including yoga, golf instruction, Pilates; and much more. To experience the “Crystal Difference,” explore new countries, and fall in love with Europe all over again in September, call Nashville Luxury Travel at 615-472-8432 and secure your spot today!